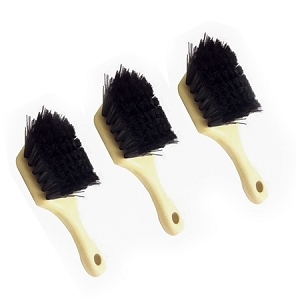 This brush lasted for years and the stiff upward pointing bristles reach where "bottle brush" types don't. 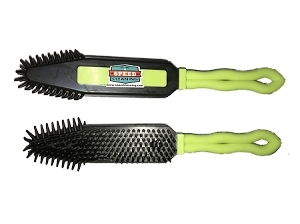 The holder keeps the brush suspended, and the bristles do not flatten on the tip. So the old brush I had was a typical one from a discount store. It was straight-handled and held together with metal. 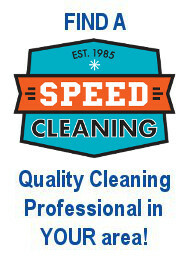 It rested on its bristles, squashing them and sitting in a puddle of drips from the last use. Yuk. This one is better in so many ways. 1) The curved handle lets the bristles get further down into the toilet's neck, so that brown gunk can't build up at the bottom where you can still see it. 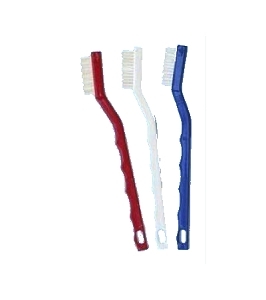 2) the brush doesn't rest on its bristles so they won't get squashed. 3) No metal so no scratching. 4) Upward facing bristles are awesome under the rim. 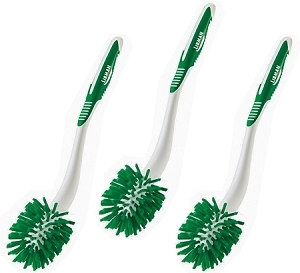 5) Lots of downward and side-facing bristles means less motion to clean the toilet. 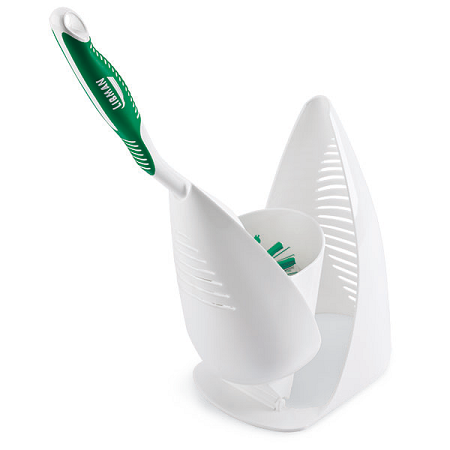 5) Larger open space in the holder means the thing will actually dry out between uses (assuming a weekly scrub). 6) Brush doesn't sit in a puddle of unk between uses. This product is shaped well. Reaches down into the toilet, yet works easily under the rim. 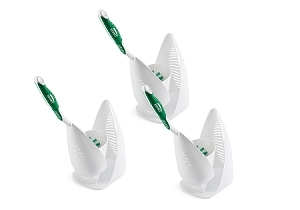 Very importantly, the holder stays upright - empty or full. Easy in and out, as well.